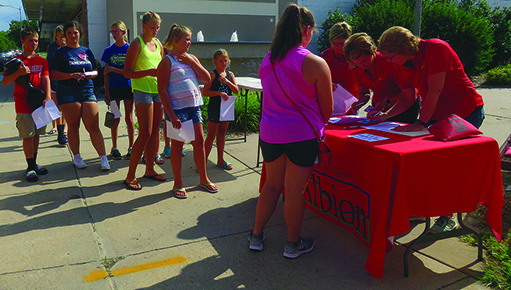 Albion Chamber of Commerce passed out Albion Bucks last Thursday evening to about 125 area students for the top grades on their report cards from last year in “Back to School Cash.” Students received more than $2,000 in certificates to spend at local businesses. 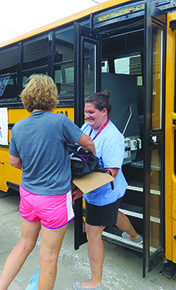 Many school supply items were donated to area students at the “Pack the Bus” event last Thursday, hosted by Boone Central’s FBLA in downtown Albion. 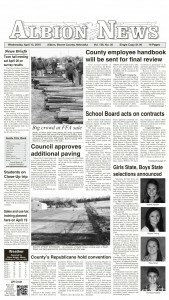 The bus was loaded with boxes and bags of school items, along with a couple of cash donations.